You came through when I needed you, as you always do. I didn’t even know what it was I needed from You. All I knew was that I was dying – from emotional exhaustion, physical fatigue and a dozen other things I could not even name. It had been too long since I had a real sabbath – a day of rest for myself alone when I did not have to worry about anyone else. I knew I needed to rest today, but I wanted something more from You. My heart reached out to you in a mute appeal. What I needed was beyond what words could describe. I needed something… different. I needed a break. And indeed today was a day of many different things! I called somebody whom I do not usually meet and asked her out for lunch. 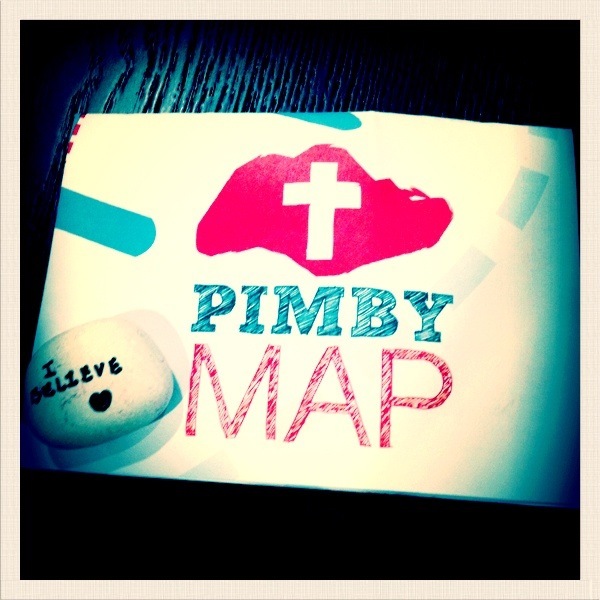 That led to me to go for a pilgrimage (PIMBY) that I had never planned on going. I was put in the group of someone who always mediated God’s healing presence to me. I went into buildings I had never stepped into before. God spoke clearly to me through the stories that I heard today about the pioneers of the Catholic faith in Singapore. My ancestors in faith endured hardships to have the first church in Singapore built. I too am called to the mission of church building, only God is calling me to build a church of living stones. It will not be any easier. Will I have faith? Will I be willing to lay down my life? It is up to me now to give my answer.